Mary Ann Froehlich has written one of the best books I have ever read. It is filled with wisdom and love. A great, easy work of pop theodicy. 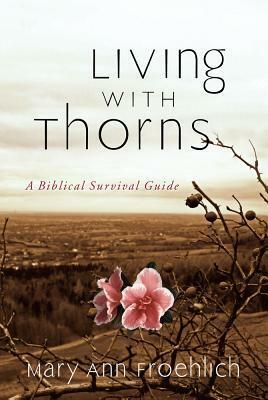 It asks readers to consider that their thorns-- chronic pain, poverty, depression, all those things that God is supposed to bless away-- are actually somehow purposeful, even if they, as a part of God's will, are inscrutable. I am happy to have read it and would recommend it to any believer who struggles with something that God just won't seem to fix or relieve. Been living with thorns for a while, but it seems that I understand the principles and have been utilizing them all along. Nice to know I am on the right track. We all have thorns to live with, this gives insight into the way we should live with them.